The motives that make individuals become volunteers are countless – however, I still can’t single out one in particular. The day I started on this path was because I wanted to donate my hair for the manufacturing of wigs for women who were going through difficult times of illness, such as breast cancer. The day I received an alert for an online volunteering opportunity with the UNV Latin American and the Caribbean Portfolio, I had already applied for different assignments throughout the years. My happiness was immense. My perseverance gave me the possibility to collaborate, not only contributing with knowledge about the reality of my own country, Venezuela, but also with other groups and situations in other latitudes, in this case Nicaragua. It was the perfect opportunity to offer my experience in the field of International Economics and university teaching, and make it available to the citizens of the world. By reading, reflecting, investigating and preparing content to publish on social networks, I contributed to the promotion of the 17 Sustainable Development Goals (SDGs) in Latin America and the Caribbean. I am certain that I have done my best to spread the information, which is reflected in the different interactions on the multiple posts, as well as with the rest of the volunteer team, with whom I still exchange information and which I hope will last. This project reaffirms the power of the Internet and of social networks. It allows us, despite our differences, to share information, even in real time, with one fundamental goal. This is why online volunteering is growing every day, and the numbers show this accelerated growth. I remember that, in the online volunteering opportunity description, there was a section in which UNV indicated the wish for this to be a pleasant and enriching experience for the whole group of volunteers. In my case, it contributed to a better version of me as a citizen of the world. “Keep volunteering the world (…). Whether being called UN Online Volunteers, Doctors without Borders, NGOs for Breast Cancer Prevention, Firefighters, Civic Defence, or other, we, volunteers give our time and skills to help people we don’t know, and to fulfil goals in which we believe, only with the weapons that determination and conviction in our ideals give us”. Bio: Emperatriz Nieves Bustamante (Venezuela) has a Bachelor’s degree in Economics (UAH) and a Master’s in International Economy (UCV). She has experience in administrative management and university teaching, and is a published academic author and lecturer. She serves as an assistant editor in the national press and lead auditor for the certifying authority BQVI. 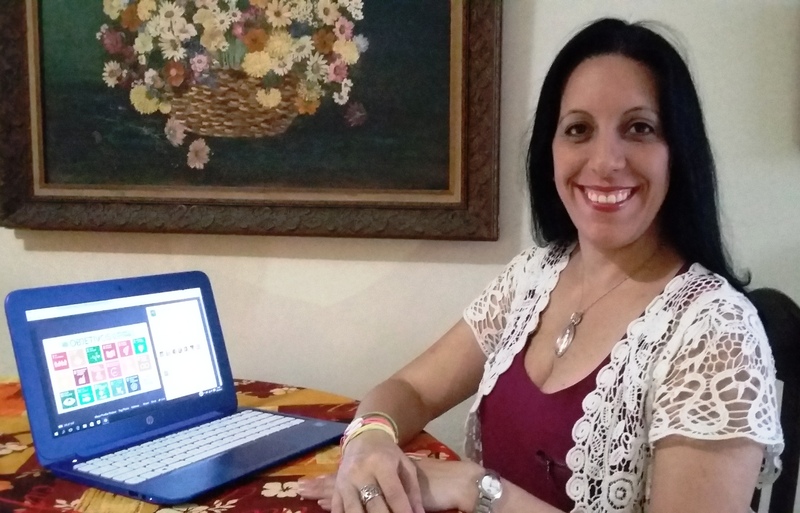 She volunteers with the Organzación SenosAyuda (Breast Cancer prevention) and is a UN Online Volunteer.